A year ago, and this story would begin with one simple word: HELP. 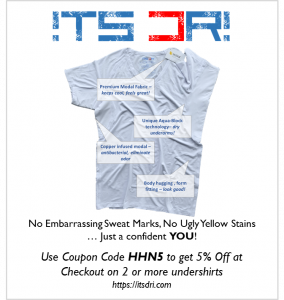 It was when my son first started having hyperhidrosis symptoms, and I had no idea what to do. I even had no idea what's happening to him, and was terrified that he is sick with some rare, dangerous disease. He seemed to be doing fine, apart from sweating dreadfully from his feet and underarms, so I stopped panicking and took him to the doctor. The first one said it's normal, that he's just a hyperactive kid and that's why he sweats more. This seemed fishy to me, and he was also an old pediatrician so I didn't trust his diagnosis that much. 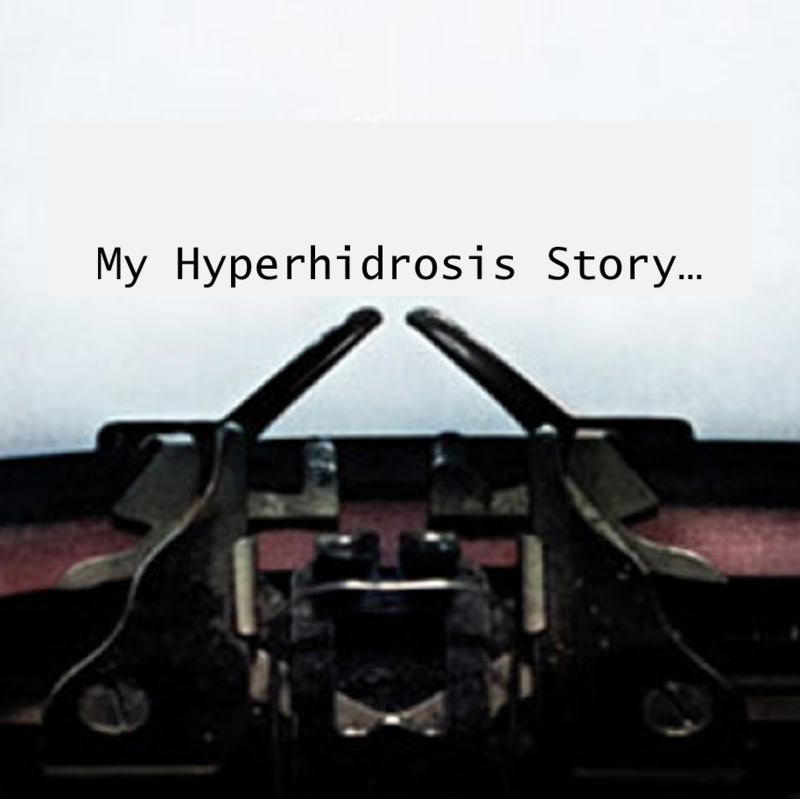 Then we went to another doctor, and this one knew about hyperhidrosis and mentioned it as a possible cause of excessive sweating right away. And later, after careful examination, the doctor confirmed that indeed, we are dealing with plantar and axillary hyperhidrosis. I was at once relieved and crushed. Relieved, because hyperhidrosis wasn't a dangerous illness, and crushed, because it was something permanent, something that my son will have to learn how to live with. He is still young – only 7 years old – so he doesn't quite understand yet what the problem is. He feels uncomfortable when he sweats, but he takes it all in stride. I suppose he is lucky not to have palmar hyperhidrosis – feet and underarms are hidden under clothes, after all. But, I know that a day will come (especially in teen years), when appearances will matter more to him, when life will become more complicated for him, and when excessive sweat will make all the difference. It really is painful when you find out that your child will have to deal with something like hyperhidrosis, and all I can hope is that I will be able to support him through this as much as I can (I'm a single mother), and that he will be strong enough to take it in stride even when he is older. Wish us luck. Good luck, Ruth! It’s clear from what you wrote that you are a wonderful mother and I have no doubt that you will help your son deal with hyperhidrosis. 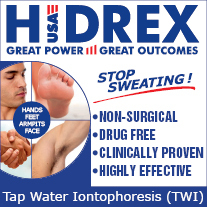 And I hope that the treatments will evolve to the point where next generation hyperhidrosis patients will have much easier time that we do today. Stay strong! In your research did you discover any genetic linkage or studies on % of HH that is inherited, vs randomly acquired? I believe there is a genetic link. My Aunt has it. It was passed to me and I see that some of my children have it as well. This must be so tough for your son. NoSweat have just launched washable, reusable underarm sweat pads which may be helpful for him. It is a non- invasive, safe, cost effective method to prevent underarm sweat patches. Reusable sweat patches are a great idea! Are those available for adults? What is the cost? It doesn’t have to be devastating:) I discovered the Drionic iontophoresis machine at age 15 and it changed my life. 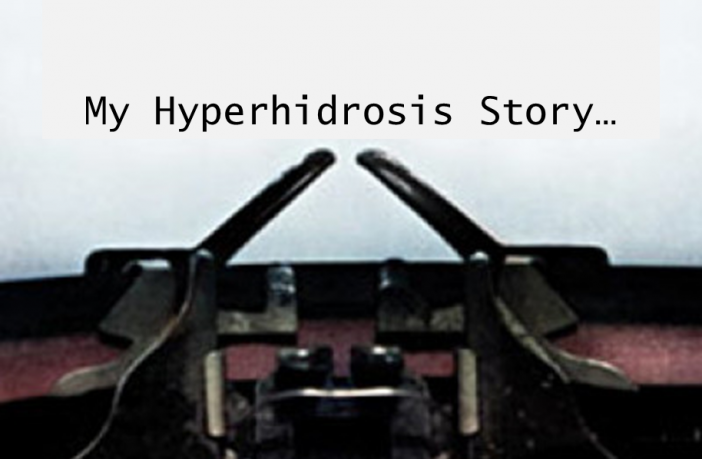 Though kind of annoying to use and maintain, the machine made hyperhidrosis a non issue in my life. When your son is old enough, it can do the same for him!